As the fall approaches, it’s time for an extremely familiar ritual – course selection. Due to some scheduling, it looks like I am back to my original plan of taking an in-depth course on Catholic theologian Karl Rahner as one of my electives. 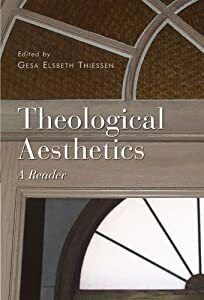 I am quite excited about this as I just read an article by Gesa Elsbeth Thiessen (editor of the invaluable Theological Aesthetics: A Reader) about how Rahner’s “theological aesthetics” (if we can call them that) are in some ways similar to Tillich’s Protestant version of the same. Both situate art and the aesthetic within a broader concern for how human culture remains open to the mystery of the transcendent. Mystery and beauty… sounds good to me! One of my main questions reading Tillich was, how can his theology of culture be rescued from the generic concept of “the ultimate” and put to use within a more robust, small-c “catholic” theology of art? Hopefully looking at Rahner will help me answer that question. My other main question going into the course is whether the charge of “univocity” often levelled at Rahner is a fair one; he is often berated for his equation of the immanent and economic Trinity, a “collapse” that seems to leave insufficient space for analogy and difference. So it also remains to be seen whether his theology of art and beauty leaves enough of an “analogical interval” (Hart) between the heavenly and earthly. Another new name I have come across recently in the field of theo-aesthetics, alongside more familiar figures like Richard Viladesau and the late Alejandro Garcia-Rivera, is Horst Schwebel, whose works on theology and art seem to mostly be in German. He has written extensively on art and artists in Germany, and edits several web journals and blogs such as this one with the wonderful name “tà katoptrizómena.” (“Kunst. Kultur. Theologie. Asthetik.” Things just look more hip in other languages.) Hopefully he’s someone I’ll be reading more of in the near future, especially since my month of August is going to be dedicated to studying German… I’ll let you all know how it goes!